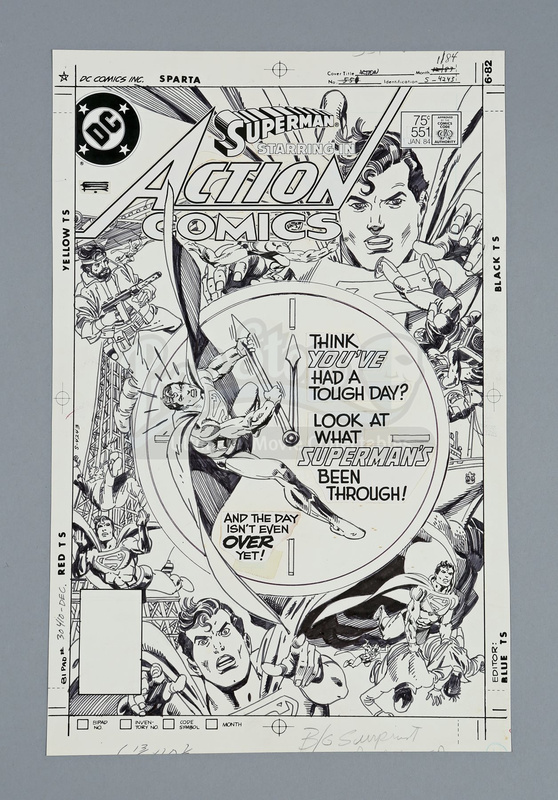 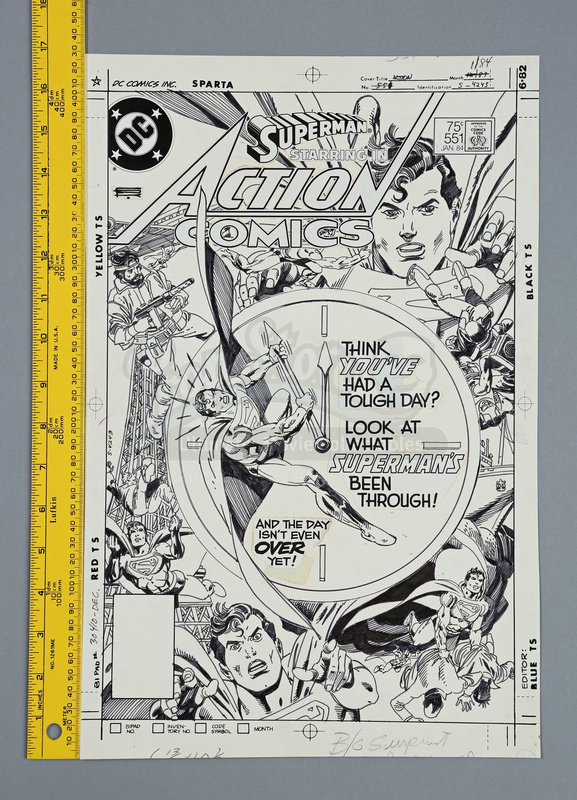 Hand-drawn cover artwork by Gil Kane featuring Superman, from Action Comics #551. In this issue, the Man of Steel raced against time to save two children in peril. 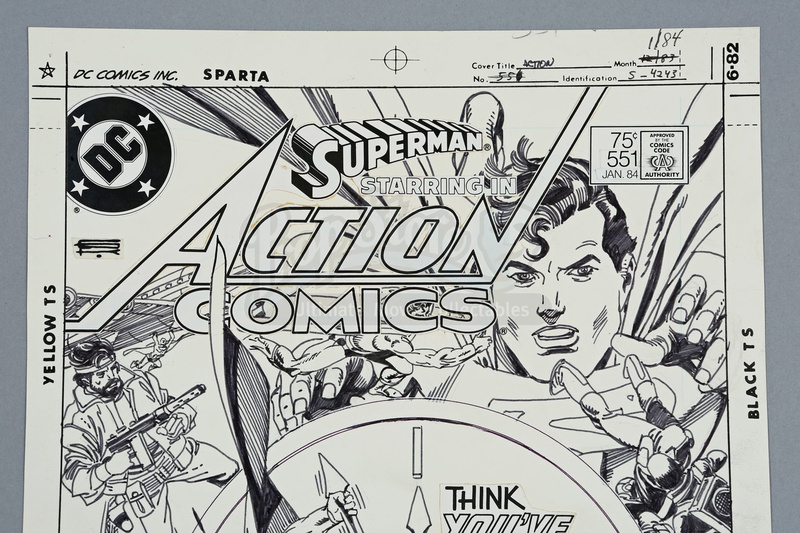 This original pencilled-and-inked cover artwork is drawn on Bristol board by Gil Kane. 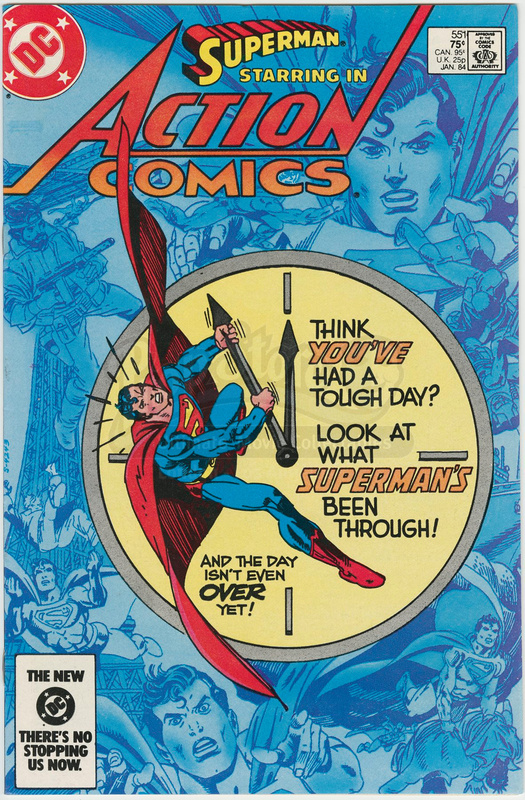 The centrepiece of the cover shows Superman straining to pull back a clock hand. 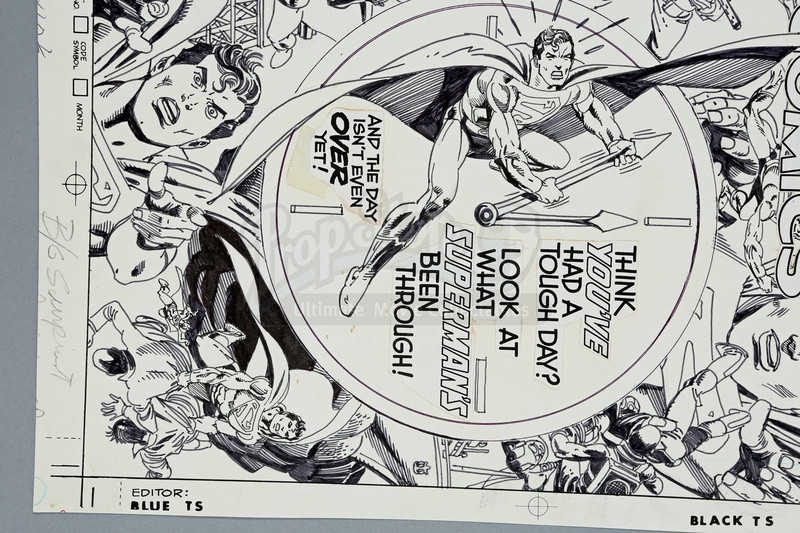 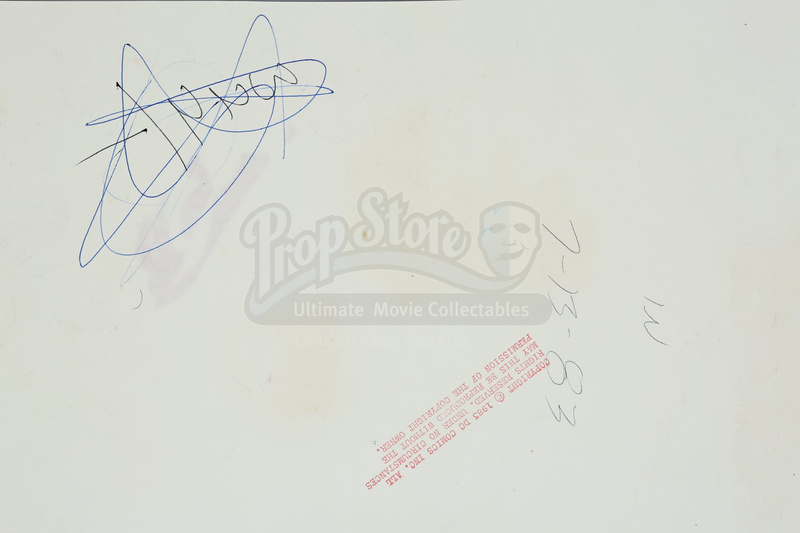 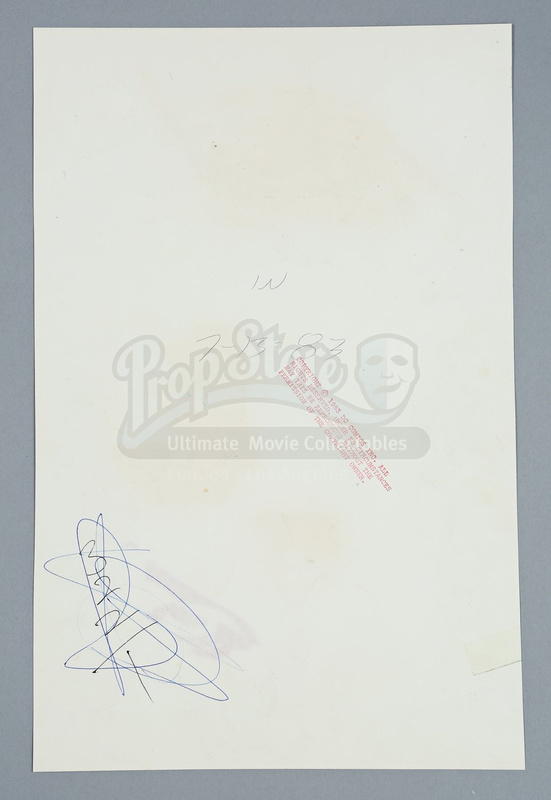 Around the clock are five additional drawings of Superman performing heroic deeds.